The owners of Popham favorite Percy’s Convenience Store offered its fans an early spring surprise Saturday morning when they announced on Facebook that despite closing -- seemingly for good -- last fall, Percy’s will open for a “comeback tour” this summer. The owners of Popham favorite Percy’s Convenience Store offered its fans an early spring surprise Saturday morning when they announced on Facebook that despite closing — seemingly for good — last fall, Percy’s will open for a “comeback tour” this summer. Despite family health problems, Tracy and David Percy wrote that they will reopen with shorter hours on May 25. The reaction was swift and dramatic. “Literally crying I’m so happy,” Monica Squires Wilson, 33, of Milford, New Hampshire, wrote Saturday afternoon. Wilson’s family has vacationed at Popham each year since her 58-year-old father was 18, she said. Her parents honeymooned there. The Percys bought the property from Ellison Taylor in 2004 for $225,000, according to tax records. Today it’s assessed at $1.07 million, which includes a path to the beach and empty lots used each summer for parking at $10 per car. 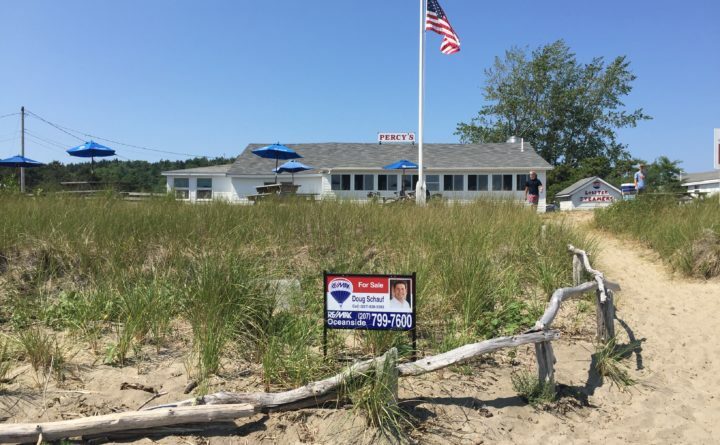 Rich Miner of Cambridge, Massachusetts, told the Bangor Daily News on Monday that his wife and children spend the summer at their home just across Atkins Bay from Percy’s, and visit frequently by boat. “It’s a favorite place to bring visitors as well as our regular go-to for the frequent breakfast and occasional lunch or ice cream,” Miner said. “The kids screamed for joy when they heard the news,” he wrote on the Percy’s Facebook page. Neither Tracy nor David Percy could be reached for comment Monday morning.